Fufano hail from the land of Bjork and have garnered considerable press and stage and airtime with their icy post-punk and rather dour sound. They started out as a techno band called Captain Fufano, but after losing their stripes they evidently picked up a few more guitars and established a sound that sounds a little like late period Gary Numan at times, but more often than not echoes the dark, brooding esthetics of Joy Division channeled through any number of imitators like Interpol, Viet Cong, and with electro-pop elements, early Editors. The first track, ‘Now’, is perhaps the best and sets the stage for a fairly strong set that blends slow-building electronics with shoegazing waves of reverberating, distorted guitars and those deadpan vocals of Ian Curtis are firmly adhered to through most all the tracks. While they state they have morphed from a techno band into a post punk alternative band, the songs are heavily layered with electronic beats, as in the second track, ‘Northern Gannet’, which I found to be a pretty stale exercise actually. 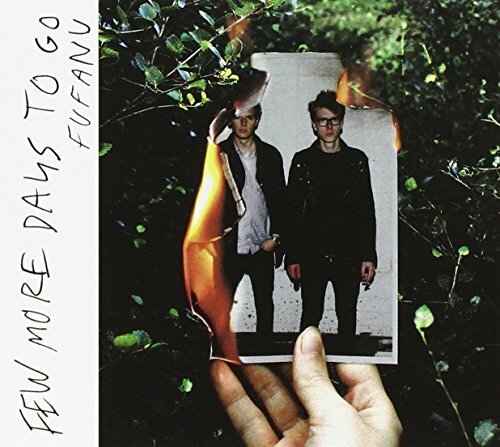 Fufano is at their best when they start out with a slow burning beat and then build into wild collisions of noise as with ‘Circus Life’ and ‘Plastic People’ and a couple others, but there seems to be a few too many self-consciously slow-paced excursions throughout this album. This band seems to work really hard at a particular ‘sound’ at the expense of the listener at times that leave me a little cold. While the final track, ‘Goodbye’, has an almost Doors-like ominous quality to it, it still seems a bit like it’s missing something and then builds into nothing really. Fufano supposedly go crazy on stage with their guitars and wild presentation, but this album seems too deliberate for my tastes. I’ll stay tuned for the next one though.